Industrial Filter　NITTO KOGYO CO.,LTD. We also manufacture the filter for variety of industrial machines such as heavy, food, or machine industries. These will help working efficiency. It keeps the engines performance even in hard condition such as fine particles or too much dampness. We manufacture the filter with our original know-how and the latest equipments. From assembling to packing, we do continuous manufacturing in order to produce high-quality products. 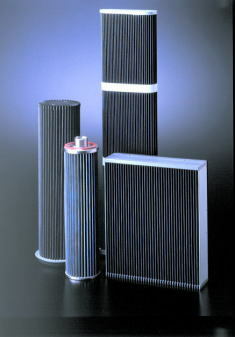 Also, we can utilize our filter knowledge, and we can manufacture any industrial filters even if minority. Please contact us. We can comply your demands.